Warner Bros. is on the hunt for a director for Birds of Prey thanks to a well-received script. The biggest success the DC movie universe has found is in Wonder Woman, so it’s no surprise to see them lining up multiple female-led projects. Margot Robbie has several possible films to reprise her role as Harley Quinn, while Gal Gadot’s Wonder Woman 2 is gearing up to start filming. One of the projects that Robbie could’ve next appeared in was Birds of Prey, a movie that named Christina Hodson as a writer in late 2016. Even though updates on Birds of Prey have been scarce, the studio was clearly happy with Hodson’s work. She was just hired to rewrite Batgirl, after previously spending time with Barbara Gordon during the process of writing Birds of Prey. Not only is the film very much still in development, but it appears WB is looking to name a director. The Wrap shared this detail on Birds of Prey when discussing Hodson’s addition to Batgirl. According to The Wrap, WB is “high” on Hodson’s script for Birds of Prey and is currently looking to find a director. There’s unfortunately no word on when such an announcement could be made, or even who they are looking at. This is a rather big update for Birds of Prey as it wasn’t too long ago many wondered if the movie was even still on the table. This report indicates it most certainly is, and that it could be a big part of DC’s slate. Hodson’s script included Batgirl and Harley Quinn, so this could be WB’s attempt to make an all-female superhero team up movie – possibly beating Marvel to the punch. However, the hunt for a director doesn’t necessarily mean that Birds of Prey will be made anytime soon. WB has hired a number of directors for countless DC related movies, and several of them are still in development. In fact, if Birds of Prey does land a director anytime soon, it will be the fourth possible Harley Quinn movie to have a director attached. Gotham City Sirens has David Ayer, Harley vs The Joker has Glenn Ficarra and John Requa, and Suicide Squad 2 has Gavin O’Connor. But, with Birds of Prey being the only project with a female writer, maybe it’ll be the lone one to get a female director (and an official green light), too. Amid all of the rumors of separate DC Films projects involving Harley Quinn, a frontrunner has since appeared and could begin filming soon. The Birds of Prey movie could begin filming in 2019, according to a report from Heroic Hollywood, and the production is also looking to hire an all-female crew. Development on Birds of Prey has been moving swiftly, and the project seems to be at the top of star Margot Robbie's wishlist for the direction of Harley Quinn on the big screen, as she told Collider last week. "I pitched the idea of an R-rated girl gang film including Harley, because I was like, ‘Harley needs friends.’ Harley loves interacting with people, so don’t ever make her do a standalone film," Robbie said. "She’s got to be with other people, it should be a girl gang. I wasn’t seeing enough girl gangs on screen, especially in the action space. So that was always a big part of it." The movie will unite Harley with Bat-family character Batgirl, whose own movie hit a snag after Joss Whedon abandoned the project. The other characters in the movie have yet to be decided, though stalwarts from the Birds of Prey comics including Huntress and Black Canary seem to be on the table. Cathy Yan was recently hired to make the film, and Robbie spoke about the director's importance to the vision and message of Birds of Prey. "And then, of course, having a female director to tell that story. And giving a female director the chance to do big budget stuff," Robbie said. "They always get ‘Here’s the tiny little film’… I was like, ‘I love action. I love action films. I’m a girl. What, are we meant to only like a specific thing’? So it was a hugely important to find a female director for this, if possible. But at the end of the day — male, female — the best director gets the job and Cathy was the best director." The other Harley-related projects, including the Joker-featuring "Mad Love" movie and David Ayer's Gotham City Sirens, all seem to be on the back burner now, and plans for a Suicide Squad sequel seem to have been delayed. Catwoman is reportedly not in the plans for Warner Bros.' Birds of Prey. After Margot Robbie stole the show in Suicide Squad, WB heavily invested in the future of Harley Quinn. They developed a number of possible projects for her, but the one Robbie was most interested in was Birds of Prey. Christina Hodson wrote the script and it was so impressive it landed her on Batgirl too. This was a result of Barbara Gordon having a major role in Birds of Prey along with Harley Quinn. Catwoman has already been given a few chances on the big screen, so that could be why she isn't involved in this R-rated girl gang film. Michelle Pfeiffer made a memorable turn as Selina Kyle in Batman Returns. Halle Berry took a swing (and miss) with a solo film, but then Anne Hathaway gave a much better portrayal in The Dark Knight Rises. Hathaway's take is still just six years old, so WB may be looking to give the character a break before bringing her back. That is, unless there's already plans for her in Batgirl, The Batman, or maybe even Suicide Squad 2. Even though Catwoman doesn't appear to be in the plans for Birds of Prey, Gonzalez didn't rule out Black Canary. She's a long-standing member of the all-female team in the comics, so many expected she would be involved. Considering this report only takes Catwoman out and not both roles, we could be looking at the third member of the movie's team. However, since no one has gone as far as to say that she is confirmed for the film, its too early to know with any certainty that she will - even if it appears certain Catwoman will not. Warner Bros. is working on bringing DC's Birds of Prey to the big screen, and it seems the Huntress will be part of the team. The film will be a bit different from the Birds of Prey team fans know in the comics, as Harley Quinn will be one of the members. According to Omega Underground, one of the other characters on the team will be the Huntress, making a team of Harley, Huntress, and Batgirl. Nothing else has been confirmed at this point, but if the Huntress is going to make her debut in the movie-verse she will likely be based on the 2nd Huntress Helena Bertinelli. The first Huntress was Helena Wayne, but that character is part of DC's Earth 2. 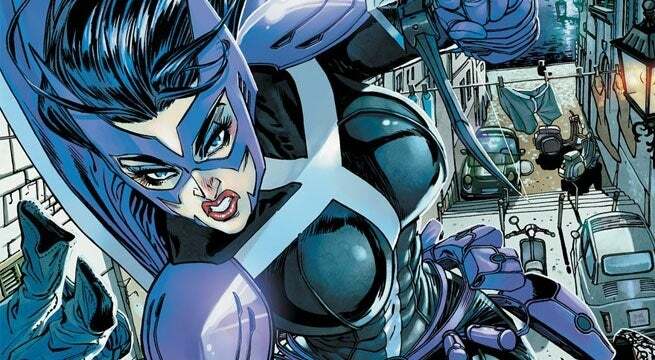 She's made various appearances over the years, returning as Huntress when DC reinstituted the multiverse and is the child of Batman and Catwoman. The one most are familiar with though is Helena Bertinelli's version, which has been the de-facto Huntress in the main DC universe for some time now. Bertinelli's mission started out as one of revenge after her family, which is involved in organized crime, is assassinated. She eventually comes into conflict with Batman, and while she eventually becomes a hero, her methods are always a bit edgier and more brutal than Bats would prefer. 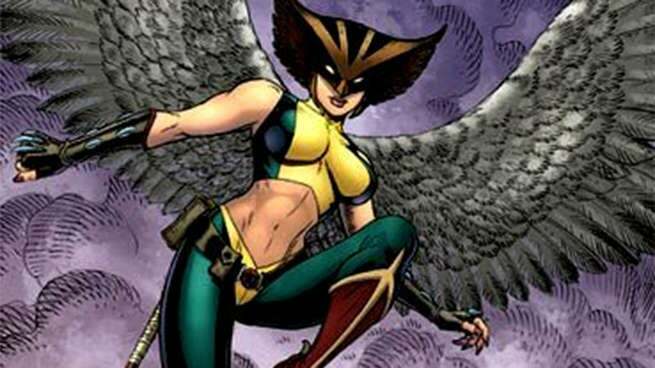 These days she's a former member of Spyral and is once again part of the Birds of Prey team. Huntress has been one of the trademark members of the team in the comics, alongside Batgirl and Black Canary. Some may be surprised then that Harley will be a member of the team in the movie, but looking at it from WB's standpoint, it makes sense, as aside from Wonder Woman Margot Robbie's Harley Quinn is their most bankable star. Including her in the film only makes sense financially. There is also a Batgirl film in development, and a Birds of Prey project might be the way for DC to introduce her before her solo movie takes shape. Huntress would be a well-received addition to the DC movieverse, but we'll just have to wait and see if this project ends up panning out. Warner Bros.’ upcoming DC Comics adaptation Birds of Prey is now rumored to also include superheroine Black Canary, according to Omega Underground. Citing sources, the site claims Dinah Lance is part of the line up just a day after it was learned Huntress is similarly rumored to be included, joining Harley Quinn (Margot Robbie) and a yet-to-be-cast Batgirl. In a tweet published May 24, Umberto Gonzalez of The Wrap debunked an ongoing rumor French actress Léa Seydoux was being eyed for the role of Black Canary. In the DC comic books, Dinah Lance was inspired by her Gotham City Police Department to fight crime as a martial arts expert-slash-vigilante who uses her ultrasonic ear-splitting vocal cry to incapacitate her enemies. The character has frequently been linked to the Green Arrow and has ties to both the Justice League of America and Gotham-based heroes Birds of Prey. The revolving lineup for the mostly-all-women team has included Barbara Gordon-slash-Oracle, Huntress, Lady Blackhawk, Catwoman, Katana, Hawkgirl, Vixen, and Hawk and Dove. 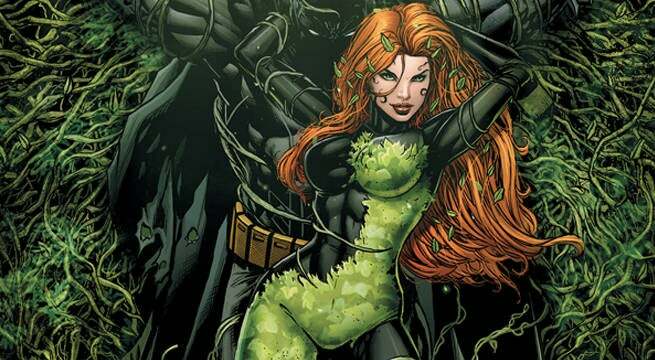 Omega further reports they “haven’t seen any indication” Poison Ivy will appear in Birds of Prey. The seductive Batman villain was expected to appear in Suicide Squad spinoff Gotham City Sirens under director David Ayer and alongside Catwoman, who is also said not to be involved in Birds of Prey. Variety’s Justin Kroll recently revealed a rumor that famed Batman enemy the Penguin could appear as the villain in Matt Reeves’ The Batman or Cathy Yan’s Birds of Prey, which has since lead to Shaun of the Dead and Hot Fuzz star Nick Frost to express interest in the role. Vikings and The Dark Tower actress Katheryn Winnick has similarly expressed interest of her own in taking on the role of Black Canary, who has yet to make the jump to the big screen. Infinity War both shattering records, the DC Extended Universe just can’t seem to gain anything close to the same level of success. From an ever-changing movie slate, to uncertainty around core actors like Ben Affleck as Batman, to various Elseworld stories and constant chatter about spinoffs arising almost every day, it’s an understatement to say the DCEU has spent its entire existence in a perennial state of flux. Arguably, the biggest flaw in the DCEU’s game plan so far has been the all-consuming desire to make ensemble films, an approach that, simply, hasn’t paid dividends. This was compounded by the dismal critical and financial reaction to Justice League — the DCEU’s lowest-grossing movie ever — leaving many fans assuming course correction would soon be put into place to streamline and focus the studio’s superhero narrative once again. Sadly, given how things are apparently progressing with the Birds of Prey movie, it doesn’t appear any lesson has been learned. In fact, it seems that Warner Bros. is indeed destined to repeat mistakes of the past. The DCEU should be building towards group films, not just throwing them out to audiences again and again. This ought to be the case now more than ever, especially in the wake of Infinity War where the Marvel Cinematic Universe showed how a team-up should be done: Through patient storytelling and proper character development. These are important components Justice League lacked, and why it ultimately failed. Throughout Warner Bros.’ history, emotional connections between characters and the audience have been rushed and forced. In Justice League, fans simply weren’t as invested in Flash (Ezra Miller), Aquaman (Jason Momoa) or Cyborg (Ray Fisher) as much as they needed to be. Recruiting crimefighters in quickfire fashion — something Birds of Prey has embedded in its DNA as a group of street vigilantes who come together to clean up ground-level crime — made the Leaguers feel more like hired guns than superheroes. As it stands, characters are being chosen at a breakneck pace for Birds of Prey. Founding member Batgirl (Barbara Gordon) and Margot Robbie’s Harley Quinn are tapped as the leads, then there’s another founding member in Black Canary (Dinah Lance), as well as a next teammate from the comics, Huntress (Helena Helena Bertinelli) being mentioned. And then there are two villains, Catwoman and Penguin, linked to the action. This packed-cast approach hasn’t been a strength for Warner Bros., with every ensemble film thus far coming off way too convoluted. 2015’s Batman vs. Superman: Dawn of Justice started this trend by cramming Superman, Wonder Woman, Batman, Lex Luthor and Doomsday in a storyline which lacked a lot of character development and didn’t result in emotional connections. Hence the reason no one cried when Henry Cavill’s Superman died, as opposed to the Infinity War ending which left audiences in tears. Suicide Squad suffered similar problems a year later, with a cast that, apart from Will Smith’s Deadshot and Robbie’s Harley, didn’t feel fleshed out, and were stuck in a gimmicky, haphazard plot. When it comes toe Birds of Prey, the studio appears to be assuming audiences latch onto Batgirl and Co. in a story which will most likely be fast-paced and rollicking, taking very few stops to let the leads sink in i.e. issues which harmed Justice League. Why not focus on the Batgirl standalone and then move into the ensemble movie? Or develop Black Canary in her pocket of the DCEU with Green Arrow first? Trying to cover multiple heroes’ backstories in a team-up could also lead to a lack of development with the villain, a problem witnessed with Steppenwolf and the forces of Apokolips. Their motivation was lacking, and they didn’t come off as intimidating at all. In fact, they felt quite generic. Of course, we’re not saying the DCEU has to follow Marvel Studios’ template to a tee and introduce every single character in their own solo flick, but something needs to be done to avoid the cluttered vibe of the previous group films. If anything, Justice League’s failures showed that the MCU did have the correct plan in how it mapped out The Avengers franchise, ergo the latter can be used as foundation on how to proceed. We understand the studio might be looking to follow Wonder Woman’s model, which moved in reverse order from BvS to a solo film, but that kind of lightning is hard to recapture and can end up as a gamble with attention divided amongst so many moving parts. Simply put, team-ups shouldn’t be the studio’s priority until it gets its solo outings right, which Shazam and Aquaman can achieve. Honestly, it’s where we thought the DCEU was heading when the brakes were pumped on Flashpoint and a Justice League sequel, and when emphasis was ramped up on Wonder Woman 2. However, this new rush into Birds of Prey feels so counterintuitive and regressive to the recalibration Warner Bros. seemed intent on. Ultimately, it’s a simple formula to follow: Refrain from weaknesses aka Justice League, and play to your strengths aka character studies a la Wonder Woman. Start small and simple, be patient, crawl and then walk towards a box-office spectacle. From there, the studio can sprint even further towards grand events, eventually stitching together complex plots involving sprawling casts, similar to what Marvel Studios did over the last 10 years. The superhero genre is still thriving despite many saying that it would not last. The way that it is doing that is by constantly changing and adapting to the times. Many clamored for more female superhero leads. There were ones here and there but they all had the misfortune of being bad to terrible. Now with the success of Wonder Woman on the big screen and shows such as Marvel’s Jessica Jones and Supergirl on television, it is a great time for female heroes to strike. 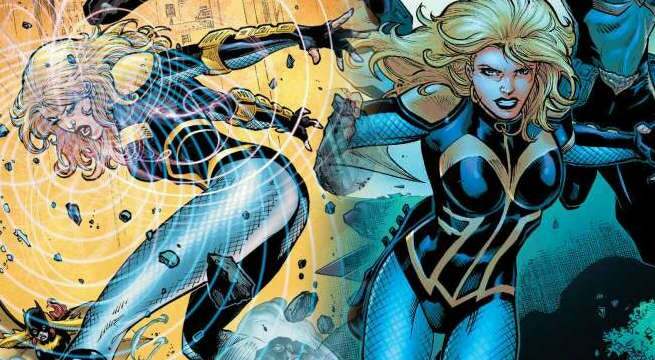 Black Canary can be the next big female superhero to hit the mainstream. Black Canary has had a long history in the pages of DC Comics since her introduction. She has been a star, a co-star with Green Arrow, a member of the Justice League and so on. With a resume like that in comics, you can put her in many different roles, but you need the right actress to bring her to life. Here are 10 actresses who could play Black Canary in the DC Extended Universe. Hit Next to get started! The daughter of news anchor Brian Williams, Allison Williams has been in Hollywood for years now. Most of her projects have been in television and definitely not in the blockbuster film range. After the massive success of Get Out, Williams is a star on the rise. There is little doubt that a superhero role is in her future. In Get Out, Williams proves that she’s a multi-faceted actress, one who is able to convey a variety of emotions and motives within seconds of each other. There is a certain innocence about Williams that can hide a dangerous side. This may enable her to give a take on Black Canary that many may not expect. She may not look like a hero at first but she will take you out in a moment’s notice. Emily Blunt has been circling superhero projects for years now. She was even originally supposed to be Black Widow in Iron Man 2. It’s not a matter of “if” Emily Blunt will play a superhero. It is now only a matter of “when.” Black Canary would be a great choice for Blunt. Her work on Edge of Tomorrow shows that she can handle action roles. With a name like Blunt behind the role, Black Canary would definitely get the spotlight on the big screen, even if she had to share screentime with other heroes. Sharing the big screen with Tom Cruise in Edge of Tomorrow took nothing away from her. In fact, it made her stand out even more. That’s what Blunt brings to the table. If there’s someone who’s built a reputation for being tough in movies it’s Charlize Theron. Her acting career has ranged from drama to comedy to action. Her role as Furiosa in Mad Max: Fury Road really changed things for the her. Now, Theron has movies such as The Fate of the Furious and Atomic Blonde under her belt. This has set her up for as the go-to actress for action roles. With Theron as Black Canary, Warner Bros. and DC could draw a lot of eyes on the character. The best thing to have would be an Academy Award-winning actress attached to the role. Take Charlize Theron and make her version the seasoned leader of the Justice League. No one would doubt that a character like Batman would be subordinate to Theron’s Black Canary. That is the presence that she carries with her. Evan Rachel Wood has been in Hollywood for quite some time. Mainly being an indie movie darling for most of her career, Wood’s biggest brush with mainstream has come with the success of the HBO series Westworld. There she has shown a multitude of range. Westworld is unique that it is a heavy science fiction show with androids but a lot of human heart to it. When she was in the Birds of Prey, Black Canary brought a lot to the table. She was the most experienced member of the team with a quite a lot of history behind her. Wood would be perfect for this kind of role. Just link up two other strong actresses to fill out the rest of Birds of Prey with Wood and you got the foundation for a cool movie right there. If you’ve seen Hannah, then you know that Saoirse Ronan can pull off this role. She did that movie when she was just a teenager, but her career has taken her away from action roles. Gaining a lot of award attentions for her role in critical darlings such as Lady Bird, now might be the perfect time for Ronan to join the superhero world. With Ronan growing as an actress, it could be a good chance to introduce a younger Black Canary. Some versions of Canary have her following in the footsteps of her mother, the first Black Canary. You can do that here as there are few multi-generation heroes. It’s a lso nice to see heroes actually grow and evolve along with the actor playing them. Emma Stone is not unfamiliar to the superhero world, as she previously played Gwen Stacy in The Amazing Spider-Man series. While she was the female lead in those movies, she was still second fiddle to Spider-Man. Post Spider-Man, Emma Stone has really become a hot commodity in Hollywood. She even won an Oscar for her role in the beloved La La Land. It is time for Stone to really take charge of being a leading lady. Stone could play a more light-hearted version of Black Canary. That could be needed especially if she were to join the DC Extended Universe. That is not to say that Stone cannot handle drama either. She could bring the right type of blend of comedy and drama. Blake Lively previously appeared in 2011’s Green Lantern. There she played the title character’s designated love interest. Since then, Lively’s acting career has taken her away from big budget films. That may have kept her away from the casual moviegoer, but it has had the effect of bolstering her acting chops. Now would be the perfect time for Lively to take on a major superhero role. The actress would likely want to avoid green screen and special effects after Green Lantern, so Black Canary is the perfect character for her because she primarily uses her fists. She could also certainly get some pointers from her husband, Ryan Reynolds, who’s no stranger to the superhero genre. At one point, Olivia Wilde’s name seemed to always be rumored for superhero roles. The closest the actress has ever actually gotten to one would be her role in Tron: Legacy. Since then, she has kept busy with a variety of different projects. Ronda Rousey put women’s fighting on the map. In this case, Rousey is a revolutionary and no one doubts her fighting skills in any way. Black Canary is considered to be one of the greatest fighters in the DC Universe. On the surface, this casting would be perfect. Rousey has slowly been taking acting roles and honing her craft. Now signed with the WWE, where establishing a character is a key part, this will also help her grow as an actress. Look at the success of Dwayne Johnson. She can get some tips from the man on how to capitalize on her strengths and hide her weaknesses. Maggie Gyllenhaal is no stranger to the superhero genre. She starred in The Dark Knight, but as with others here, Gyllenhaal played a supporting role. For the most part, Gyllenhaal has avoided some of the bigger budget projects in Hollywood. She has recently started to gain prominence once again with a leading role in the HBO series The Deuce. Known for her gritty roles, Gyllenhaal can help ground the DC Extended Universe’s version of Black Canary, playing her as a more experienced street hero. This is something that we haven’t really seen from female superheroes on the big screen. Setting Black Canary in a world similar to The Deuce would be unprecedented. It may also be needed. Suicide Squad came under fire from fans for radically altering the appearance of characters like Harley Quinn and The Joker but it now appears as if the former will receive a makeover for the upcoming Birds of Prey movie. It makes sense for Warner Bros. to move away from that gritty, grounded, and somewhat sexualised appearance for the character but just how different she'll look isn't clear. "Oh yeah! 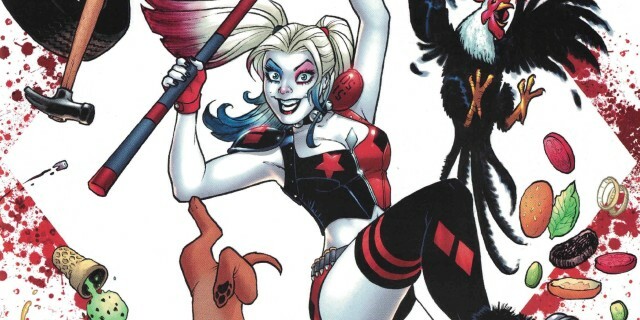 Yeah, yeah, yeah," Margot Robbie said when asked if Harley will get a new look in the planned ensemble. However, when asked if she could shed any light on what that might look like, the actress said: "No, I can’t. And honestly, [it’s] because the costumes haven’t been designed yet, but yes she’ll have new looks. There will be new Halloween costumes out there, one day." When the interviewer then asked Robbie if Birds of Prey's female leads - all of whom are white in the comic books - will be made up of diverse actresses of different ethnicities, she confirmed that will indeed be the case. "Yep, yes exactly, real life isn't so one specific images. We've got to reflect that onscreen." That's bound to be controversial with some fans but is definitely the right thing to do. This week has been an interesting one when it comes to news for Birds of Prey, the upcoming Harley Quinn team-up movie. The film is reportedly gearing up for production to start in early 2019 and while there's been no casting information as of yet, star Margot Robbie has revealed that the cast for the film will be diverse. Robbie recently told Yahoo! that when it comes to filling out the cast of Birds of Prey, she wants the character makeup of the film to be truer to life. "Yep, yes exactly, real life isn't so one specific image," Robbie said. "We've got to reflect that onscreen." With Cathy Yan reportedly set to direct the film, the film is already set to stand out from other DC Film offerings as it will be the first to be directed by a non-white female director but bringing on a diverse cast for the "R-rated girl gang film" will take that to the next level. The only real question is which characters will the diverse cast play and, given the team's comic book history, there are a lot of options to choose from. In the DC Comics Universe, the Birds of Prey are an all-female hero group founded by Batgirl (Barbara Gordon using the codename Oracle at the time), Black Canary, and Huntress. Since that original iteration, there have been many others who have cycled on and off the team and it hasn't always been heroes, either. Jade Canary, perhaps better known as Lady Shiva, notably took Dinah Lance/Black Canary's place on the team during "One Year Later". So which heroes are being considered for Birds of Prey? Here are some of the characters reportedly being considered. 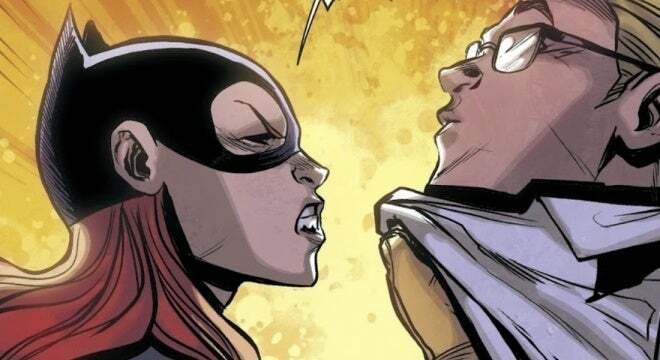 Slide 1 of 8 Batgirl/Oracle (Barbara Gordon) (Photo: DC Comics)One of the founding members of Birds of Prey in comics, Barbara Gordon would be a natural choice. In comics, Barbara is operating as Oracle having been paralyzed from the waist down after being shot by the Joker which could present an opportunity for diverse casting in Birds of Prey should a wheelchair-bound Oracle make up part of the team. Even if they opt for a non-paralyzed Batgirl for Birds of Prey, the character would still make for a sound choice. Christina Hodson, who is writing Birds of Prey, is also set to write the Batgirl solo film currently in development. Slide 2 of 8Black Canary (Dinah Lance) (Photo: DC Comics)Another founding member of the team in comics, Dinah Lance fights crime as a martial arts expert-slash-vigilante who uses her ultrasonic ear-splitting vocal cry to incapacitate her enemies. A popular character in comics, Black Canary is frequently linked to the Green Arrow and has ties to the Justice League of America. There have also already been rumors that Dinah Lance is set to be included in the lineup for Birds of Prey along with Batgirl and Huntress. Slide 3 of 8Huntress (Helena Bertinelli) (Photo: DC)Born into one of Gotham City's mafia families, Helena became a vigilante after having witnessed the murder of her family as a child. More violent and reckless than some of the other heroes, Huntress would make for an interesting addition to the team. Slide 5 of 8Hawkgirl (Kendra Saunders) (Photo: DC Entertainment)While Hawkgirl's comics history has been complicated to say the least, Earth 2's Hawkgirl from The New 52 is also said to be a possible choice for Birds of Prey. With her crossbow and pistols -- not to mention the wings -- she could make for a formidable addition to the girl gang. 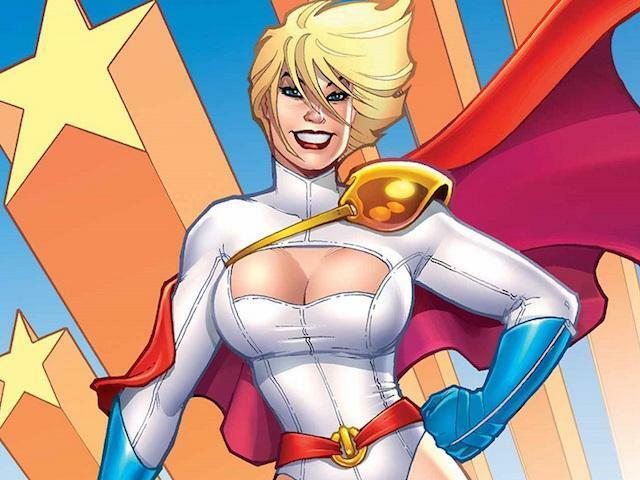 Slide 6 of 8Power Girl (Karen Starr) (Photo: DC Entertainment)In comics, Power Girl is one of Oracle's first agents for Birds of Prey, but their partnership goes awry very quickly when a mission goes sideways, resulting in a large loss of life. Power Girl blames Oracle for it, a situation that creates some tension and animosity between the two. It could make for an interesting dynamic in the Birds of Prey film. Slide 7 of 8Poison Ivy (Dr. Pamela Isley) (Photo: DC Comics)Poison Ivy would make an interesting addition to the movie not only because she has teamed up with Catwoman and Harley Quinn in comics and is sometimes depicted as an antihero rather than just a villain but because she's also been a love interest for Harley in comics as well. Her history as an eco-terrorist could also make for some interesting plot choices as well. 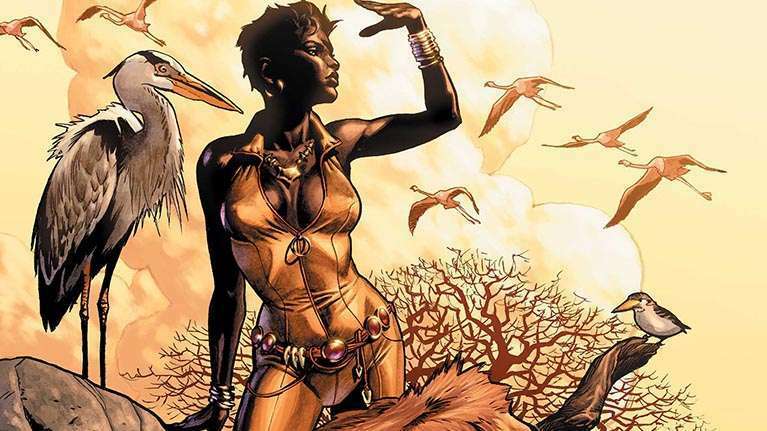 Slide 8 of 8Vixen (Mari McCabe) (Photo: DC Comics)Given her history with both Birds of Prey and Suicide Squad in comics, Vixen is another character that would make sense to have appear in Birds of Prey. While there have been no details about the film's plot, given Vixen's connections she could explain how Harley connects to some the other characters on this list. She's also just an interesting character and, as fans of television's Legends of Tomorrow can attest to, her totem-based powers look pretty cool onscreen. Who would you like to appear in Birds of Prey? Let us know your thoughts in the comments. When casting for the Warner Brothers' upcoming Birds of Prey movie, the production crew will be sure to cast diverse leads, according to actress Margot Robbie — the person behind Harley Quinn in DC's budding movie universe. Sitting down with Yahoo! to promoted her upcoming movie Terminal, Robbie reassured us that the movie will include a diverse cast. Although little else has been revealed about Birds of Prey, director Cathy Yan has reportedly been tabbed to direct the movie, marking the first time a non-white, female director will helm a DC movie. Robbie recently described the film as an "R-rated girl gang film." “I pitched the idea of an R-rated girl gang film including Harley, because I was like, ‘Harley needs friends.’ Harley loves interacting with people, so don’t ever make her do a standalone film," Robbie shared with Collider. "She’s got to be with other people, it should be a girl gang. I wasn’t seeing enough girl gangs on screen, especially in the action space. So that was always a big part of it." “And then, of course, having a female director to tell that story. And giving a female director the chance to do big budget stuff," Robbie continued. "They always get ‘Here’s the tiny little film’… I was like, ‘I love action. I love action films. I’m a girl. What, are we meant to only like a specific thing’? So it was a hugely important to find a female director for this, if possible. But at the end of the day — male, female — the best director gets the job and Cathy was the best director." In the DC Comics Universe, the Birds of Prey are an all-female hero group founded by Batgirl (Barbara Gordon, going by Oracle at the time), Black Canary, and Huntress. It is not clear if these characters will be involved with the Harley-centered Birds of Prey movie, though the Birds of Prey script is being written by the Transformers Bumblebee spinoff writer Christina Hodson, who has also been hired by DC Films to write DC's Batgirl movie. We had heard that Birds of Prey would start shooting either late this year or early next year, and now star/producer Margot Robbie has confirmed the start date for us. Update: Flickering Myth has shared a video of their interview with Margot Robbie that gives a bit more context to her comments. Robbie says that “hopefully” Birds of Prey starts shooting in January. Margot Robbie revealed a lot of new info this weekend about her Harley Quinn “girl gang” movie which she even referred to as “Birds of Prey”. We had heard that there were multiple Birds of Prey scripts, each with different characters, but that the only constant between them were Harley Quinn and Barbara Gordon (aka Batgirl). According to a new rumor, Batgirl will not be appearing in the movie. Last night I tweeted that I thought introducing Batgirl in a R-rated Birds of Prey movie was an interesting choice, given the fact that her solo movie will likely be PG-13 and she has the potentially to be a hero for young girls just like Gal Gadot’s Wonder Woman was. That’s when The Wrap reporter Umberto Gonzalez tweeted at me that Batgirl is NOT in Birds of Prey. He then seemed to imply that Barbara Gordon could still be in the movie, but not as Batgirl. Wow really? That’s big news if true. Variety said she was. They didn't say that on the record, rather Justin tweeted. Profound difference. Was decided recently no Batgirl. Attention to detail, I didn't say Barbara Gordon, I said Batgirl. With Margot Robbie saying she hopes Birds of Prey starts shooting in January, we should be getting casting news soon. That should put a lot of these rumors to rest and give fans answers as to who exactly will be teaming up with Harley Quinn in Birds of Prey. Black Canary, Huntress, and more will be part of Harley Quinn's team in Birds of Prey. Warner Bros. is finally moving forward with the next film to star Margot Robbie as Harley Quinn. After a breakout role in Suicide Squad, the studio has been developing several potential starring vehicles. Through the developmental cycle, Robbie took special interest in Birds of Prey and that resulted in Cathy Yan signing on to direct. In the weeks since, there's been plenty of questions about who will make up the all-female team for the movie. Several rumors floated usual members while others counted out some of DC's known female villains/anti-heroes. Now, it looks like we know who exactly is joining the team. The Wrap reports Black Canary, Huntress, Cassandra Cain, and Renee Montoya will be the other members of Harley Quinn's female superhero team. Black Canary and Huntress are typical members in the comics along with Barbara Gordon aka Batgirl, who is not part of this roster. Instead, Cassandra Cain may fill that role, as she's also taken on the Batgirl name in the comics. Montoya is a detective for the Gotham City Police Department who eventually becomes Question. As for who they'll face, it will reportedly be a villain who has never been seen on the big screen. New rumors have surfaced suggesting Oswald Cobblepot, aka the Penguin, won’t be involved in Birds of Prey after all. Instead, it’s believed Warner Bros. will focus on utilizing the villain in Matt Reeves’ Batman solo flick as originally planned. Past chatter suggested Penguin would appear in one of the films, but with Birds of Prey’s rumor mill of who’s in and who’s out in constant motion, Cobblepot’s purported axing from the script via The Wrap’s Umberto Gonzalez should also be taken with a grain of salt, especially as he was never confirmed in the first place. DC NUGGET: The villain in BIRDS OF PREY was originally THE PENGUIN, but that is no longer the case. Gee, I wonder what other DC movie Oswald Cobblepot can be the bad guy in? The Penguin made his big-screen debut in 1992, in Tim Burton’s Batman Returns, played by Danny DeVito. Josh Gad has repeatedly teased his interest in the past in playing the villain, with speculation going as far back as May 2017. It remains to be seen how Reeves will shape his take on the Dark Knight, with details on who’ll wear the cowl, which villain Batman will actually face and how the movie fits into the studio’s current continuity still all to be revealed. As for Birds of Prey, none of the heroes involved have been confirmed, so it’s no surprise the studio hasn’t addressed the movie’s villain. The latest rumors suggest focus will be placed on Margot Robbie’s Harley Quinn, Huntress and Cassandra Cain, with Barbara Gordon featured outside of her Batgirl alter-ego. It’s believed they will join Renee Montoya in what Robbie pitched to the studio as “an R-rated girl gang film.” Cathy Yan is attached to direct from a script by Christina Hodson, who also wrote the story for the Batgirl film that’s also in development for Warner Bros. It sounds like DC's Birds of Prey film could be getting off the ground in a matter of no time. A new report from Geeks Worldwide suggests that the upcoming DC Extended Universe venture could begin filming on January 15, 2019 in Los Angeles. While it's unclear if this report is true, it does track to an extent, making it DC's next film to enter production after the Joker origin movie. After being announced back in 2016, Birds of Prey has made some major strides in recent months, most notably in the announcement of some of the film's roster. Earlier this week, it was revealed that Black Canary, Huntress, Cassandra Cain, and Renee Montoya will be joining Harley Quinn (Margot Robbie) in the film. With that announcement seeming to confirm who will make up the Birds of Prey, and DC Films' panel at San Diego Comic-Con just days away, DC fans will surely begin to speculate about who could play those roles. Thankfully, according to Robbie, the film's casting will try to be as diverse as it can be. Barbara Gordon's Batgirl was curiously absent from the proposed cast of new characters for the upcoming Birds of Prey movie. Could it be because she's already the hacker hero Oracle in the DCEU? Several signs suggest this might be the case. The daughter of Gotham City Police Commissioner Jim Gordon, Barbara Gordon, has one of the most complex histories of any character in modern comics. Originally created for the live-action Batman television series in 1966, Barbara proved popular enough to be brought into the comic books one year later in Detective Comics #359. Her life would change forever following an attack by The Joker in the graphic novel The Killing Joke, which left her paralyzed. Barbara would later reemerge in Kim Yale and John Ostrander's Suicide Squad comic, having adopted the Oracle identity to aid the team as a white-hat hacker. She would go on to be a member of the Justice League but never had a comic of her own until Birds of Prey. Conceived by editor Jordan B. Gorfinkel in 1996 as a series of specials, Birds of Prey centered upon the adventures of Oracle and her partner, superheroine/spy Dinah Lance (a.k.a. Black Canary). It became a full monthly comic in 1999, but was on the verge of cancellation before writer Gail Simone revitalized the series in 2003. Simone added the Mafia-focused vigilante Helena Bertinelli (a.k.a. Huntress) to the cast and went on to reshape the team with a rotating roster of DC Comics' heroines. Given the central role that Barbara Gordon held in forming the Birds of Prey in two realities (the most recent incarnation of the group was formed in the DC Rebirth series Batgirl And The Birds of Prey, where Barbara regained her mobility and became Batgirl again), many fans were stunned when a supposed list of heroes who would be in the movie was reported and Barbara Gordon's name was conspicuously absent. This caused confusion, particularly when coupled with the on-going questions regarding the status of a Batgirl solo film centering on Barbara Gordon following Joss Whedon's departure from the project. What was more worrying was the inclusion of an unexpected name on the list of characters to be seen in Birds of Prey - Cassandra Cain. First introduced during the Batman storyline No Man's Land in 1999, Cassandra Cain was Barbara Gordon's hand-picked successor to take up her mantle. The daughter of the assassins David Cain and Lady Shiva, Cassandra was raised by her father and trained from birth to become the perfect assassin. Cain did not speak to his daughter, nor teach her how to read or write, theorizing that with the only language she learned being body language, she would grow into a superior warrior. His theory proved correct, but he did not count on Cassandra's distressed reaction to her first "hit" at the age of eight nor her running away from home and living on the streets, where she was taken in by Barbara Gordon and offered a better life. Cassandra Cain's presence in the Birds of Prey movie poses several interesting questions. On the one hand, it seems unlikely that Cassandra would be included if there was any intention of having Barbara Gordon be Batgirl. On the other hand, given their history together in the comics where Barbara acted as a foster mother of sorts to Cassandra, the fact that Cassandra is part of the Birds of Prey suggests that Barbara will be a presence in the film even if she's already passed on her mantle. Given the relative ages of the characters in the DCEU compared to their comic-book counterparts, with a clearly older Bruce Wayne who has been at the vigilante act for decades, there's a fair chance that a Batgirl movie starring Barbara Gordon could still be a possibility. It could be handled as a retro-piece, in much the same manner as the upcoming Wonder Woman 1984. The current DC Comics timeline had Barbara Gordon taking up the Batgirl name shortly after Batman made his first appearance in Gotham City. As such, there's a fair possibility the solo Batgirl film could be an origin story for Barbara while allowing for an older Barbara Gordon to appear in a Birds of Prey movie set in the modern day DCEU, acting as a mentor to Cassandra Cain. Warner Bros. have begun the casting process for Cathy Yan's Birds of Prey movie, and we know which actresses the studio has in mind to play key team-members Black Canary & The Huntress. More past the jump. [/COLOR] As Warner Bros. prepares to begin casting the lead roles for the upcoming Birds of Preymovie, we have some inside info on which actresses the studio is high on for both Dinah Lance/Black Canary and Helena Bertinelli/Huntress. According to our sources, WB is searching for stars in and around the same age-range as Margot Robbie - who will reprise the role of Harley Quinn - and right now those involved with bringing these DC heroines to the big screen are said to be very high on Jodie Comer and Vanessa Kirby for Black Canary, and Alexandra Daddario for Huntress. Comer is a British actress best known for her role as assassin Villanelle in Killing Eve. She also played Chloe Gemell on the comedy-drama series My Mad Fat Diary. Kirby, meanwhile, portrayed Princess Margaret in Netflix series The Crown, and most recently played The White Widow in Mission: Impossible - Fallout. Arguably the most prolific of the three, Daddario has starred in the likes of Texas Chainsaw 3D, Baywatch, and True Detective. As of right now, we don't know if any of the above are actually up for these respective roles, but we believe Daddario, at least, is expected to enter talks soon. So, what do you guys think? Could you see these actresses suited-up in Birds of Prey? 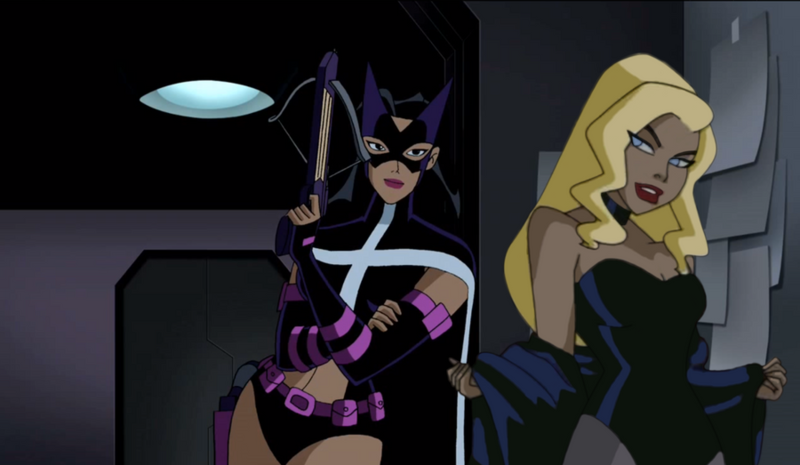 If not, who would you most like to see as Black canary and Huntress? Sound off below. Past reports have already revealed the team's roster, but a lot of the story details on the Birds of Prey movie remain under wraps. However, the folks at Discussing Film got their hands on a rumored synopsis, which may explain the team's mission and reveal whether Harley Quinn is still with the Joker. "After splitting up with The Joker, Harley Quinn and three other female superheroes – Black Canary, Huntress and Renee Montoya – come together to save the life of a little girl (Cassandra Cain) from an evil crime lord." Again, this is just a rumor, but the part about the heroes coming together to rescue Cassandra Cain lines up with previous reports. That said, the reveal that Harley and the Clown Prince of Crime have split up is a new detail and would explain why the other superheroes would work with the villain. Now, what do you folks make of this synopsis? Do you think it's accurate? Either way, share your thoughts in the comments below. It looks like we finally know which DC villain Harley Quinn & the rest of the team will be going up against in Cathy Yan's upcoming Birds of Prey movie: Roman Sionis, a.k.a. Black Mask. More past the jump. According to The Wrap, Warner Bros. and director Cathy Yan's Birds of Prey movie will feature the big-screen debut of classic Batman baddie, The Black Mask. If the rumored synopsis for the film proves to be accurate, Harley Quinn, Black Canary, Huntress and co. will be joining forces in an attempt to rescue Cassandra Cain from the clutches of a crime boss, and it now looks like said crime boss is going to be Roman Sionis. 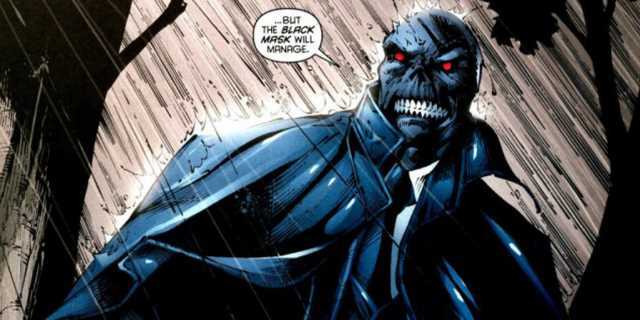 A recent rumor pointed to Cassie's father David being the antagonist, and while he may still have a role to play, it certainly appears as if Black Mask is going to be the movie's big bad - which should please fans who have been waiting years to see the sadistic gangster utilized outside of video games and animated features. New rumors suggest Andi Mack star Peyton Elizabeth Lee is being eyed for the role of Cassandra Cain in Birds of Prey. Following the success of Wonder Woman, the future of the DC Universe continues to look female. Bringing Margot Robbie back has been a priority, with Robbie especially being drawn to Birds of Prey. Once Warner Bros. hired Cathy Yan to direct the project, this Harley Quinn led movie has become the priority. Robbie has described the concept as a girl gang film that will put Harley on the same side as several of DC's female heroes. Recent reports pointed to Black Canary and Huntress being two of her main teammates, but a reported plot synopsis teased the importance of Cassandra Cain. Now, there's some rumors about who could possibly play the young martial artist. Two sources are now reporting Birds of Prey is eyeing Andi Mack star Peyton Elizabeth Lee for the role of Cassandra Cain. The GWW hinted that Lee was in consideration for the role. Then, a few minutes later, @DanielRPK shared the rumor as well. Daniel stressed in an earlier tweet to take this as a rumor as it isn't from one of his regular sources, but with Walsh also sharing the news, this could be legitimate. It is also possible that both users have a shared source, so take this with a grain of salt for the time being. The version of Cassandra Cain that will appear in Birds of Prey is going to be young, possibly even pre-teen. Lee is currently 14 years old, so she fits the possible age range from a casting perspective. Her starring role on Andi Mack is her most notable credit and even gives her ties to the DC Universe. Andi Mack is the same show where Asher Angel made a name for himself, prior to being cast as Billy Batson in Shazam!. If Lee is being considered for the role, there's no word on her status or competition. She is the only name to be linked to Cassandra Cain so far. Lee could be the frontrunner or simply the one of the early candidates that impressed. There must be other contenders for the part, but fans will have to wait and see if those named are revealed too. Right now, Lee joins some high profile names as being linked to a Birds of Prey role, although the others are reportedly being eyed for Black Canary and Huntress. The casting process is clearly underway, so Robbie could land some Birds of Prey co-stars before we know it. According to Heroic Hollywood, a mixed-race actress is now being sought to play Canary in an effort to add some diversity to the team. Apparently, the ideal candidate would play "a world-weary Black Canary who has the ability to sing." If accurate, this would explain why Lady Gaga was offered the role. 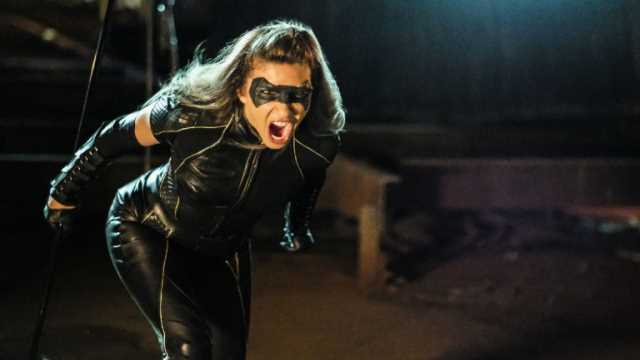 Though the character is typically depicted as being white in the comics, Juliana Harkavy - who is mixed-race - played an incarnation of the DC heroine on The CW's Arrow. Birds of Prey is currently scheduled to begin shooting early next year so hopefully we'll get some official casting news soon. In the meantime, let us know what you make of this latest rumor in the comments. 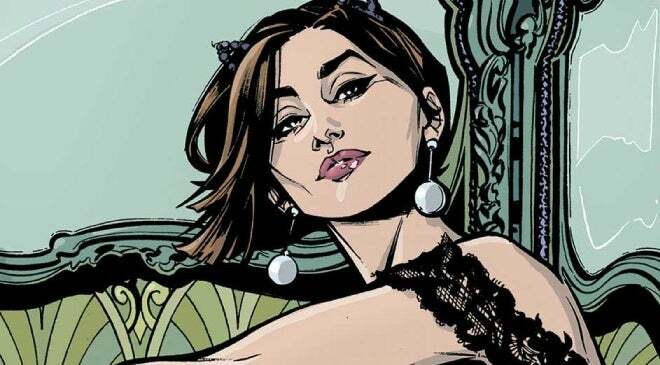 Up-and-coming Italian American actress Francesca Ruscio has sent out a series of Tweets which led to speculation that she may have landed the role of The Huntress in warner Bros. and director Cathy Yan's Birds of Prey movie. The first Tweet below, in particular, is worded in a way which suggests she's actually going to play the character, and the fact that it was liked by Margot Robbie (Harley Quinn) only fueled the online chatter. However, it now seems clear that Ruscio is only campaigning to play Helena Bertinelli in the DC film. Ruscio has had small roles in the likes of Succession and Made in Chinatown, and will appear in upcoming features Bare Knuckle Brawler and Caesar's Ring. Publicly campaigning to play a character rarely yields results, but we wish her all the best. 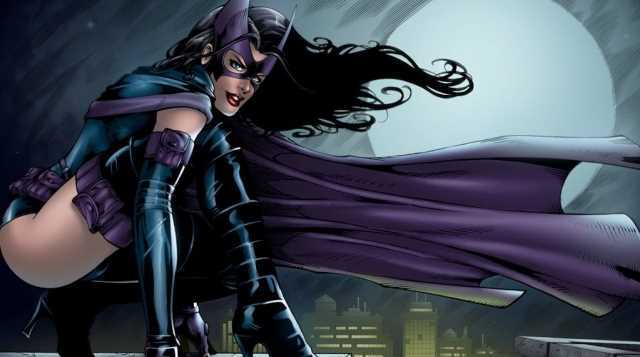 A new work of fan art depicts what a real-life version of The Huntress might look like in the upcoming DC Comics film Birds of Prey. While the movie has not yet been given the green light from Warner Bros., it does have director Cathy Yan and screenwriter Christina Hodson attached to the project. This, coupled with a number of rapid-fire rumors regarding casting on the movie, has led many to speculate that it may be the next superhero movie to enter production at DC Films. Based on the classic comic series about an all-women team of vigilantes based in Gotham City, Birds Of Prey is one of the most highly anticipated projects in development at Warner Bros. The proposed film will see Margot Robbie (who is also a producer on the movie) return in the role of Harley Quinn, sometime after the events of Suicide Squad. While the exact details of Hodson's screenplay have yet to emerge, one synopsis for the movie says Harley will team-up with the Birds of Prey to protect a young girl named Cassandra Cain from an evil gang leader. The precise line-up of the Birds is also unconfirmed, beyond mainstays Black Canary and Huntress being on the team. Crafted by Brazilian artist Danilo Rodrigues, the illustration imagines actress Francesa Ruscio as she might appear in the role of The Huntress. The digital image, which can be viewed below, seems to capture Huntress in a reflective mood, as she perches on a Gotham City rooftop. The character of The Huntress is one of the mainstays among the various incarnations of the Birds Of Prey (along with Black Canary and Batgirl/Oracle) in the comics. Helena Bertinelli is the sole surviving member of one of Gotham City's largest Mafia families, who saw her parents and brother gunned down as a young girl. Swearing revenge, Helena now works as a public school teacher by day but becomes The Huntress at night to wage war on criminals in general and the Gotham mob in particular. Despite having a similar background to Bruce Wayne, Huntress does not play well with Batman, often delivering a much more fatal form of justice than The Dark Knight. While Francesa Ruscio is a somewhat obscure choice to serve as the model for Huntress, the up-and-coming actress has been mentioned among the top picks for the role, along with Lady Gaga and Sofia Boutella. With a background in martial arts, Ruscio seems capable of handling the physicality of the role and her Italian heritage would fit with Margot Robbie's stated goal of casting a diverse line-up of actors for the movie. If nothing else, Ruscio certainly looks the part, even without Rodrigues' artistic flourish. It's worth reiterating that the final cast list for Birds of Prey has not yet been revealed, much less any details as to who has been cast. It's still unclear, for instance, if Barbara Gordon will be a part of the team and if she will appear as Batgirl or Oracle, if she is in the film. Different rumors have suggested both big name actors being approached about the starring roles and that Robbie might be seeking out new talents in a bid to keep the budget low. The only thing that can be said for certain at this point is that the creative team as well as WB want to see the movie made. 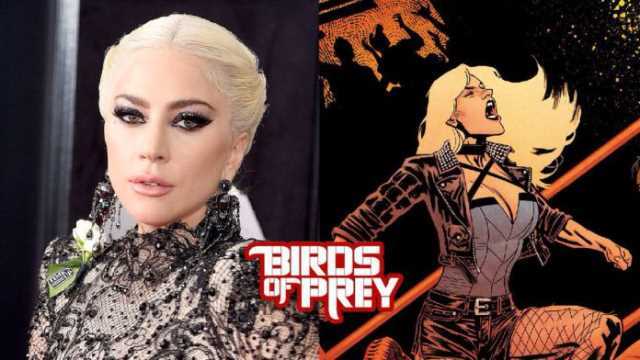 Last month, a rumor did the rounds that Warner Bros. had offered Lady Gaga a lead role in Cathy Yan's Birds of Prey, but the singer-turned-actress decided to pass. Now, a new report suggests that the studio hasn't given up and has offered the highly in-demand star a lot more money. The character they want her to play? Either Black Canary OR Huntress. Gaga is coming off great acclaim for her performance in A Star is Born and is most likely destined for even bigger things to come in Hollywood - something WB is clearly well aware of. We'll have to take this with the ever-ready gran of salt for now, but the report does come from DanielRPK/SuperBroMovies who has been spot on when it comes to DC-related scoops in the past. Assuming Lady Gaga has been offered her choice of either of these roles, which do you think would suit her best? Drop us a comment in the usual place.